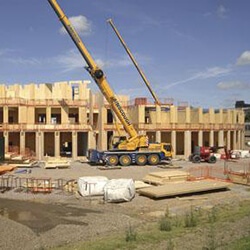 Over the last 50 years we have been involved with the specification for all types of buildings throughout the UK. We have been a full member of the GAI (Guild of Architectural Ironmongers) for over 30 years and our staff has the qualifications and expertise to ensure your project complies with the latest British and European standards. Whether it’s a small or large project we can provide a detailed schedule to include ironmongery, escape hardware, access control, automatic doors and master key systems. We provide this service at no cost or obligation to you. AC Leigh is one of the UK’s leading, award winning, architectural ironmongers and SALTO installers. 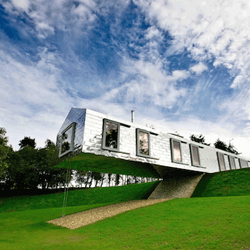 We have vast experience in the specification of quality products for a variety of projects. 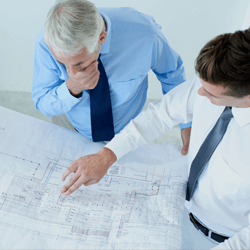 For over 50 years, we have worked with architects and clients to ensure their buildings function correctly and comply with all relevant legislation. Our free specification and scheduling service is based on experience and knowledge, not from a limited catalogue. 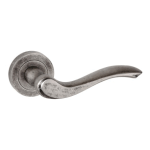 An enormous range of door levers, knobs, pull handles and contemporary and traditional ranges. Exclusive and made-to-order handles. Stainless steel, brass, bronze, glass, wood, nylon and many more. 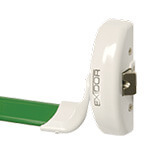 Overhead door closers, concealed door closers, door selectors, floor springs. Controls to meet current legislation, i.e. DDA and Part B Fire Regulations. Escutcheons, finger plates, indicator bolts, numerals, kick plates and much more. Full range from 25 year guaranteed, to housing/contract quality, fire rated, concealed, cabinet, gate and many more. 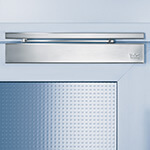 A comprehensive range of locks to meet European & DDA standards. 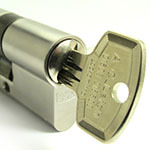 Specialist & high security locking systems. Master key systems designed & assembled in our own master key workshop. Full range of surface & concealed panic & escape hardware to suit all situations, including high traffic, high security and electronic doors. 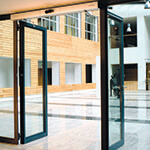 Commercial and domestic supplied and installed to meet DDA requirements. Architectural, fire and safety signs. 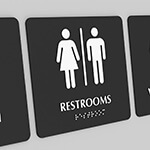 Braille, bespoke and specialist signs. All finishes available. AC Leigh is and independent company and as such can supply all types of Architectural Ironmongery, from contemporary stainless steel to period bronze and brass. 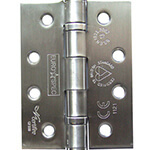 All ironmongery specified will comply with current British and European standards. We are experienced in the specification and supply of specialised products such as anti-ligature, anti-bacterial, assisted living and cloakroom fittings. Specifying ironmongery can be a complicated and time consuming business. Trying to meet client requirements, legislative standards and regulations, whilst still working to a budget can be incredibly difficult. 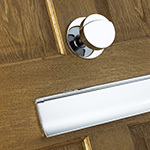 Ironmongery specification is what we do, and it’s what we’ve done for over thirty years. Let us take the workload and stress. 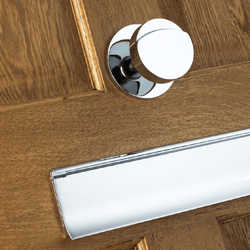 We can ensure that all of your project’s ironmongery is correct for purpose, compatible, meets regulations, and is ready for fitting on site. This service is provided with no obligation and at no cost. 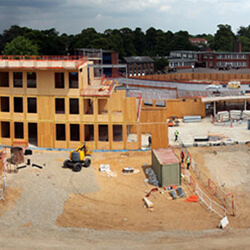 The AC Leigh scheduling service is only the start of the process for us; we provide advice and technical support for the architect and client at pre-order stage and continuous support for the site contractors at the post-order stage. Our experience is invaluable when dealing with issues on site, whether it’s a technical or installation problem AC Leigh are there to help. We ensure our products comply with all current legislation including BS EN: 8300 and the Equality Act.